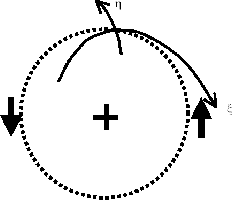 Figure 3.8: Spiral coordinate. Along a curve of constant , . As seen in Figure 3.8, we introduce the spiral coordinate in which -axis is parallel to the spiral pattern which has a pitch angle and -axis is perpendicular to the -axis. 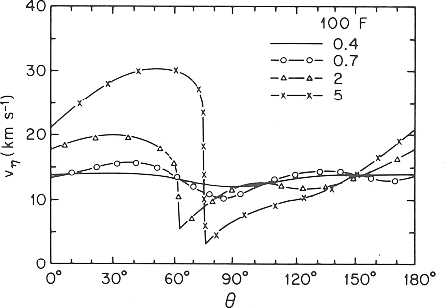 There exists a spiral density pattern of the stellar component if the Toomre's parameter is . This is driven by the self-gravity of the rotating thin disk. If the amplitude of the non-axisymmetric force is as large as % of the axisymmetric one, interstellar gas whose sound speed is as large as forms the galactic shock. This is observed when the flow is transonic. 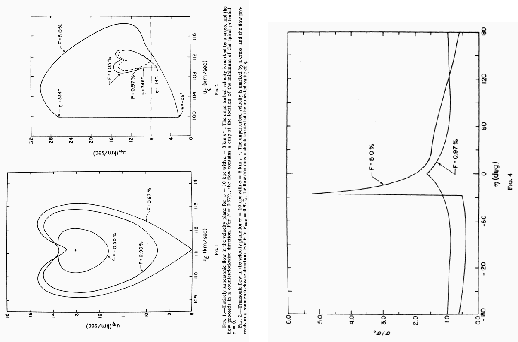 The amplitude of the gas density fluctuation is much larger than that in the stellar density. If stars are formed preferentially in the postshock region of the spiral arm, we expect clear spiral arms made by early-type stars, which are massive and short-lived, as seen in the -band images of spiral galaxies. Figure: Galactic shocks. The velocity perpendicular to the spiral wave front is plotted against the phase of the spiral wave. Gas flows from the left to the right. The spiral potential takes its minimum at . Parameters are taken as , , kpc, , , . The amplitude of spiral gravity force is taken 0.4%, 0.7%, 2%, and 5% of the axisymmetric force . Taken from Fig.13.3 of Spizer (1978) [originally Woodward (1975)]. Figure 3.10: Galactic shock. (Left:) vs plot. Increasing from 0.5% to 0.9%, the variation in increases. And at %, the minimum speed reaches the sound speed . Further increasing , a subsonic region appears ( for % and 5%). When flow changes its nature from supersonic to subsonic, a shock appears. kpc, , and are taken. Other parameters are the same as Fig.3.9. (Right:) Comparison of two density distributions: there are no shocks only cusps for %, while shochs and high compressions in the postshock region appear for models with %. Taken from Shu, Milione, & Roberts (1973).